That ladies and gents in the cover art for Void Stalker, third in the Night Lords trilogy by Aaron Dembski-Bowden. Cheers for both John Sullivan (the artist) and for Aaron. That is some amazing stuff. Someone is about to have a really, really bad time. 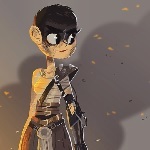 The BL blog says there will be more new artwork released soon enough. Keep an eye out here as well for that folks. It's a shame that the second trilogy of Night Lords novels have been put back in favour of the legion most Black having the awesome pumped into them by ADBs violent fist of writing because First Claw got some decent cover art action going on fo shizzle peeps you feelin' it dawgs? 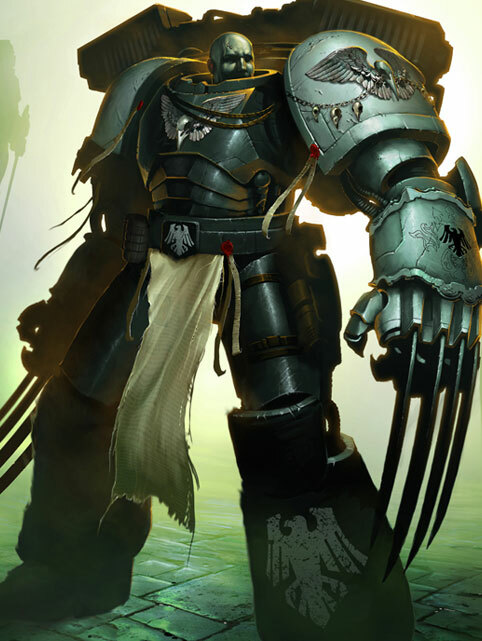 schaferwhat‽ wrote: It's a shame that the second trilogy of Night Lords novels have been put back in favour of the legion most Black having the awesome pumped into them by ADBs violent fist of writing because First Claw got some decent cover art action going on fo shizzle peeps you feelin' it dawgs? I was with you for the first two thirds of that, and would tend to agree, the last 7 words lost me completely. don't be hating just because I am street. groovysl wrote: I was with you for the first two thirds of that, and would tend to agree, the last 7 words lost me completely. Why does Schafe carry an umbrella? schaferwhat‽ wrote: don't be hating just because I am street. I love it when new artwork is released to the masses. I am really digging the skull in the background, though I can't help but feel as a whole there could be a bit more green to it. Major Rawne wrote: I love it when new artwork is released to the masses. I am really digging the skull in the background, though I can't help but feel as a whole there could be a bit more green to it. Green is the colour of will! I fort u ment u IS street innit! shadowhawk2008 wrote: Green is the colour of will! Only if your a Green Lantern. It just seems that the first two books have a clear and distinct colour scheme, and this one doesn't seem quite so distinct. Anyway the real important thing is the story inside as to opposed to how awesome the cover is, though it is still pretty darn awesome. Anyways, agreed, the colour schemes were clear/distinct for the previous two books but perhaps the indistinct colour for this represents some theme within the novel? What's not distinct about it? That's the tealest cover I've ever seen. I'm not a huge fan, all told. It's nice enough, but it doesn't have much to grab me. Which is nice, because there's no chance in hell this book's not going to be bloody awesome. Speaking of which, it's the big day for A D-B and Miss Brunt today. Hooray! I am completely speechless at all of this. Shadow Captain Koryn of the Raven Guard. Artist: Hardy Fowler. 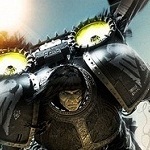 Audio Drama: Labyrinth of Sorrows by George Mann. Luthor Huss. Artist: Cheoljoo Lee. Luthor Huss by Chris Wraight. Blood Angels Tactical Marine. Artist: Clint Langley. Blood Angels Second Omnibus by James Swallow. My first thought was, that's a fething Chaos Marine!!! They a pretty sweet. Though I particularly like the Raven Guard. One thing that makes me wonder is if that little perch there really has the structual integrity to support several tons. I personally don't think so, so wondering just what is stopping that marine from plunging to death. Hardy Fowler's Space Marines are my absolute favourite. The Doom Eagle from the front of Victories of the Space Marines is just wunnerful. Innit. They are not ostentatious, that's for sure. Perhaps that's the attraction of them. I love the Koryn simply because he is Raven Guard (my favourite legion/chapter). 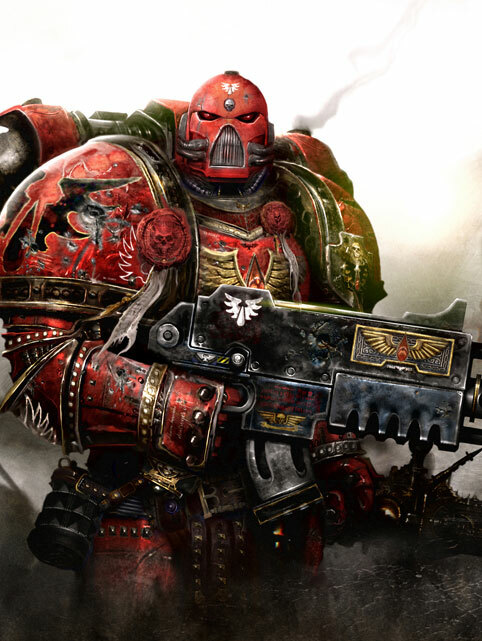 Of the three new ones however, my absolute favourite is the Blood Angel.